All the opinions are my own. 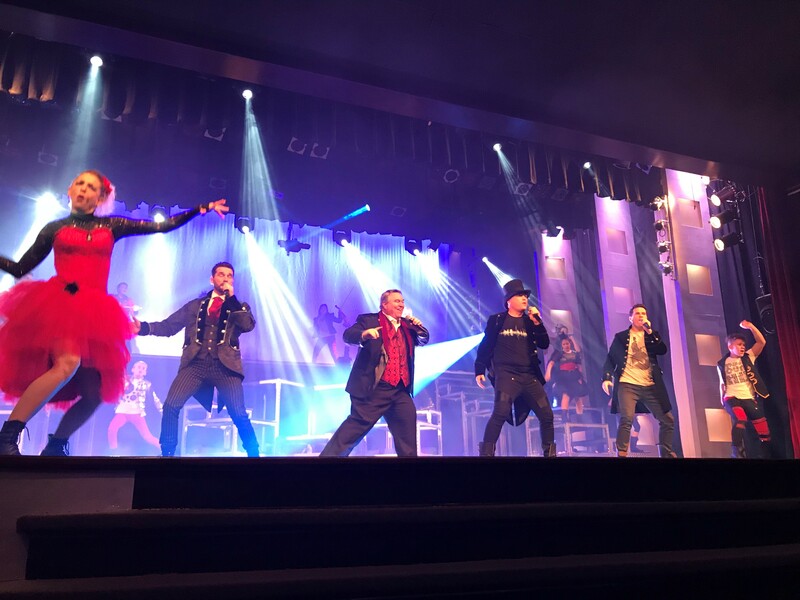 As our Branson tripped continued, I couldn’t believe how amazing everything had been so far. From the shows to the food, to all the extras we were so very well treated to. 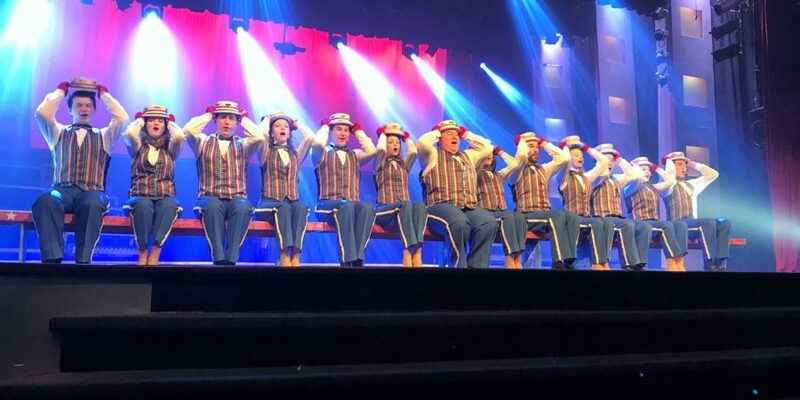 The Hughes Brothers Show was to be our last outing of the trip and WOW, The Hughes Brothers, it truly is the greatest show. Our seats were in the front row and we were able to meet some of the brothers before the show. I spoke with Andy Hughes and even got a picture of Purple man with him. He was so polite and didn’t hesitate to say “sure, no problem” when I asked him for the picture. We were treated to a free soda and popcorn and the staff behind the counter were so polite, its so refreshing, everywhere we went in Branson, that was the norm, EVERYONE was polite. Little did I know that the very kid that was giving me my soda, was also one of the Hughes Brothers kids. I would learn so much more about this amazing family as the night went on. The lights were dimmed, and the show was about to begin. I had no idea what I was about to experience. 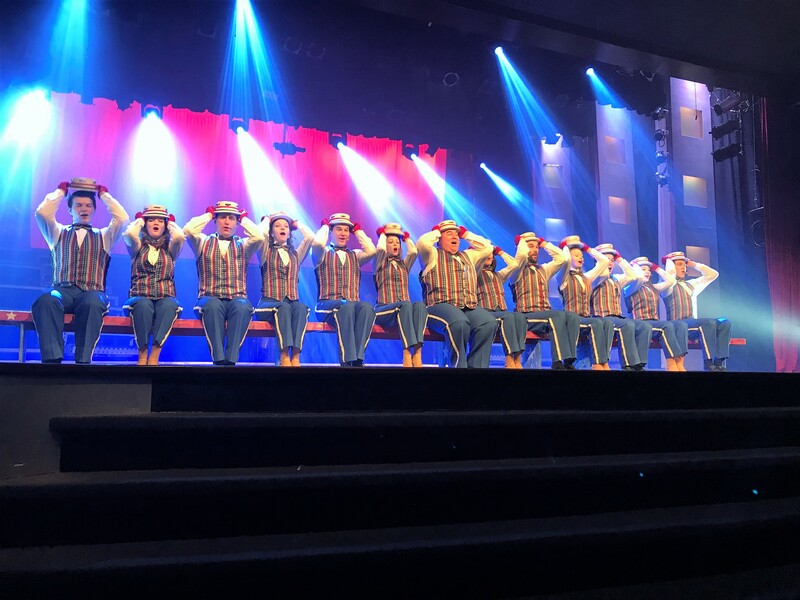 They began the show with the song from The Greatest Showman, The Greatest Show. I couldn’t believe what I was seeing and hearing, kids of all ages, adults, all of them amazing singers and entertainers, and again, this was the first song. And yes, those are the stairs to the stage, we were in the front row. 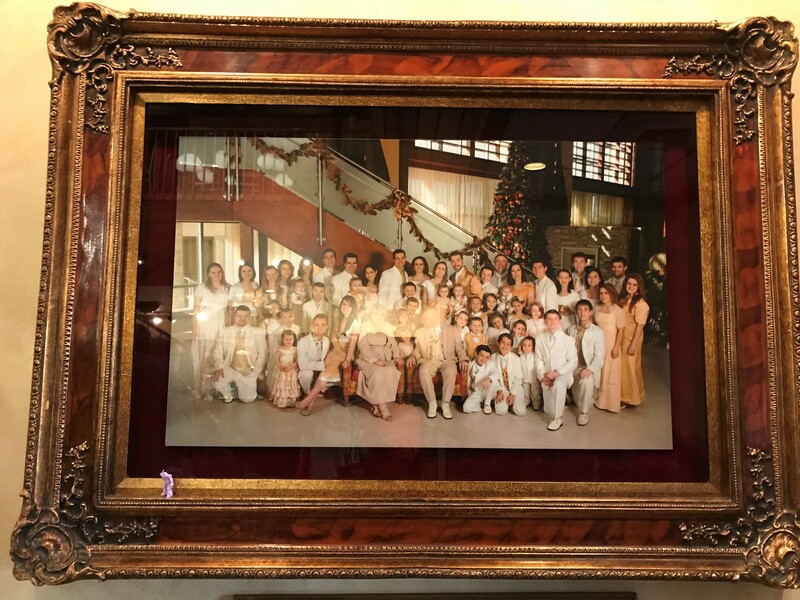 As the show went on it was one hit after another, I was memorized by all this talent, and soon learned, they were one big entertaining family, all of them, every adult and kid were part of this outstanding family. They also carry the title of the “World’s Largest Performing Family”, yes, this amazing family is in Branson, MO. We learned the story of this amazing family that moved to Branson from Utah. Marty, Jason, Adam, Ryan, and Andy are married to Cindy, Mara, Vikki, Carina, and Becky, respectively. 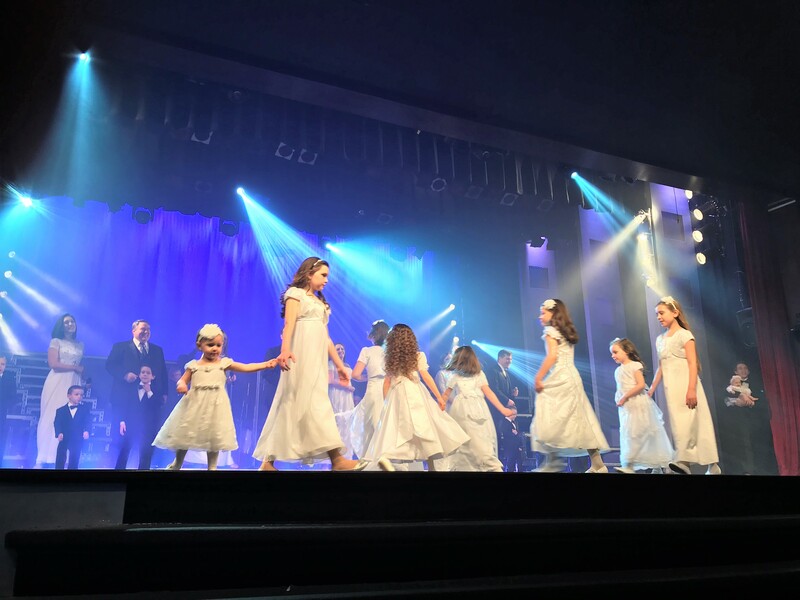 Now their wives and more than 35 children and grand-children are also in the show, delighting audiences as they entertain alongside the brothers. 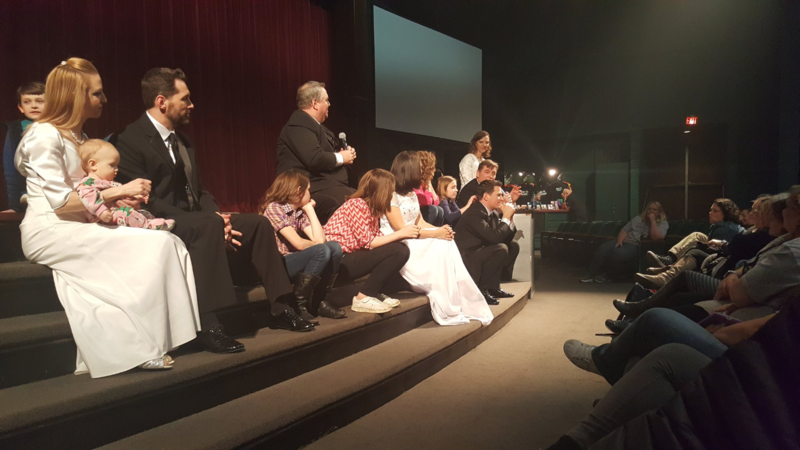 After the show was over, we engaged in a question and answer session with the whole family. I couldn’t wait to talk to one of the son’s of the oldest brother, his name is Jacob Hughes. He sang a solo during the show, while playing the guitar and I learned that he also plays the drums during the show. I asked him who his favorite drummer was and to my delight, he named 2 of my favorites. He gave me a copy of his CD, and I haven’t stopped listening to it, this kid has talent, more then talent, this kid is a star. 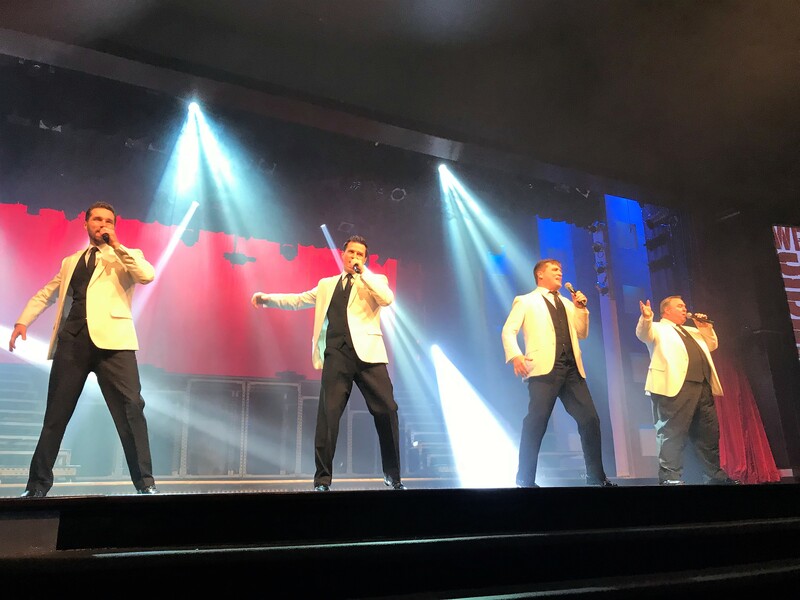 In January of 2000, the Hughes Brothers took over the former Roy Clark Celebrity Theatre, Branson’ s landmark theater in the heart of town. The family not only performs there, but also owns and manages the theater now renamed The Hughes Brothers Theatre. It is an amazing show, hope you get to go see it. Thank you so much for having us all there. I just love Branson, and can’t wait to come back and see you guys.